Bamboo shoots (also called “bamboo sprouts”) are the edible shoots of any of several bamboo species. We’re most likely to find them in Asian-inspired dishes, like in my Har Gow-Inspired Shrimp Balls. Bamboo shoots are so popular in Asian dishes, in fact, that they’re sold in a variety of forms, including fresh, dried, and in cans. For the most part, the canned version is what’s most familiar. 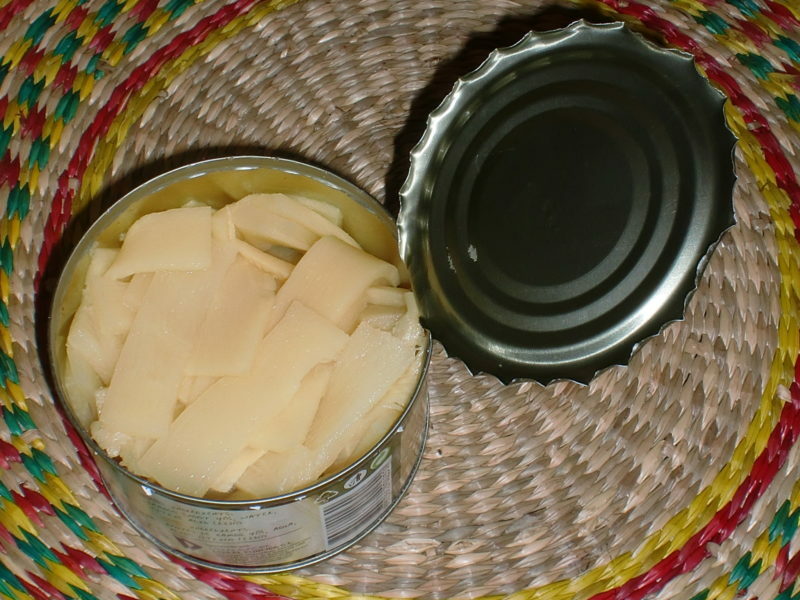 An important note about bamboo shoots is that they need to be cooked (or canned) before they’re consumed, due to the fresh shoots containing toxic cyanogenic glycosides. As far as nutrition goes, bamboo shoots are a rich source of vitamins B1 and B6 as well as the dietary minerals manganese, potassium, and zinc; but they aren’t the best source of any of these.